I love doing mosaics! 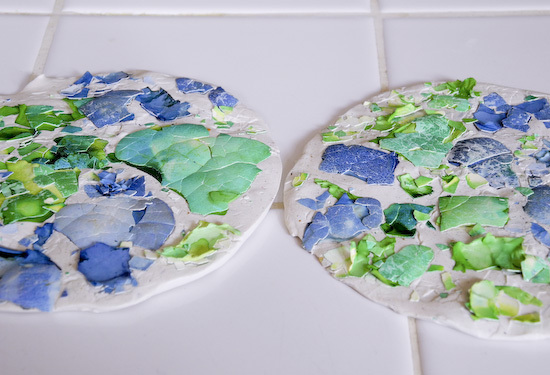 The best things about mosaics are they don’t have to be perfect and they can be made into anything! I wanted to do a Bible based craft project for the letter E, but there are not very many things that work for the letter E.
After looking online for a while I found my options were Eagles (but those who hope in the LORD will renew their strength. They will soar on wings like eagles; … Isaiah 40:31) or Earth (“In the beginning God created the heavens and the earth.” Genesis 1:1). I chose Earth because we have done Eagles before and the craft options are kind of boring. Earth really didn’t have too many options, so I made our own. 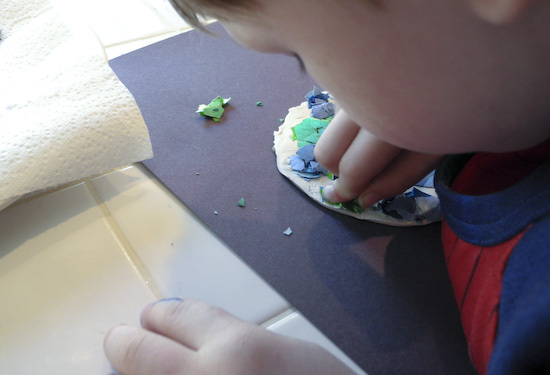 I had already found lots of crafts using egg shells and I had some old Fimo clay to use up! 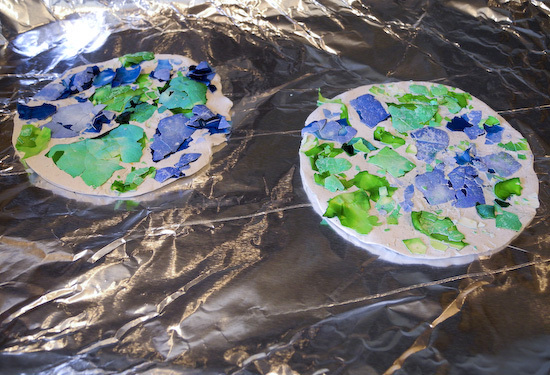 We made Earth mosaics from eggshells and Fimo. 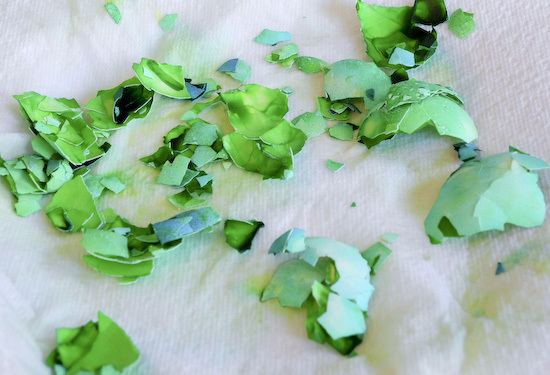 Step 1: Dye the peeled shells in food dye, 1 cup water, and a tablespoon of vinegar. Make sure and pull them out and dry them before the project. 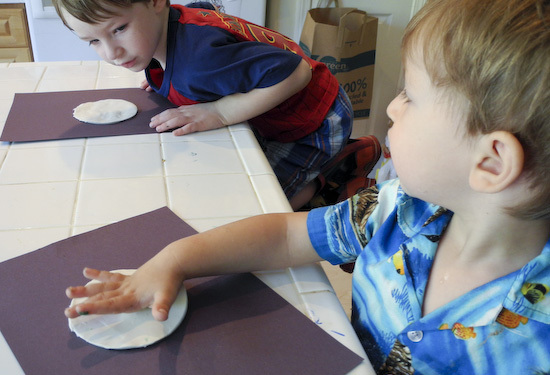 Step 2: Cut circles out of clay (Find a large glass or round bowl to use as a cookie cutter. Step 3: Now the fun part push the pieces of shell into the clay. 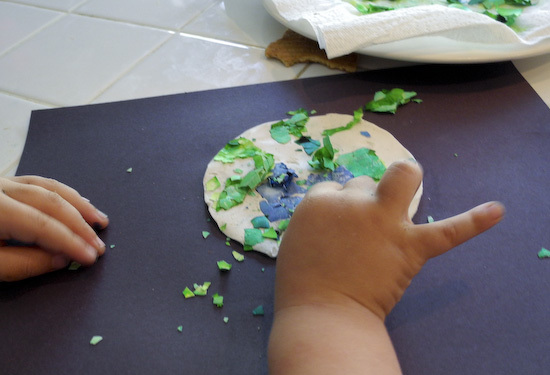 Even little hands can do this project! Press it in pretty firmly! 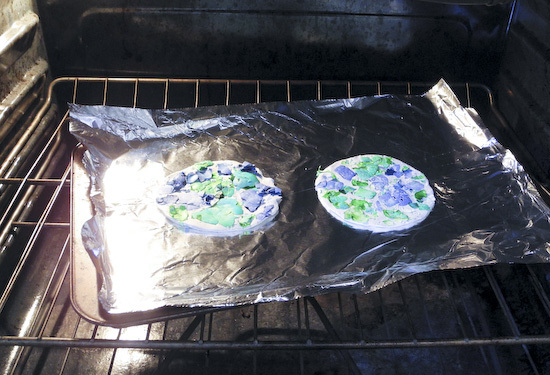 Step 4: Dry your clay according to the directions. Mine needed to be baked. Step 5: Brush off any extra shell that didn’t stick. Now you have a lovely mosaic Earth. 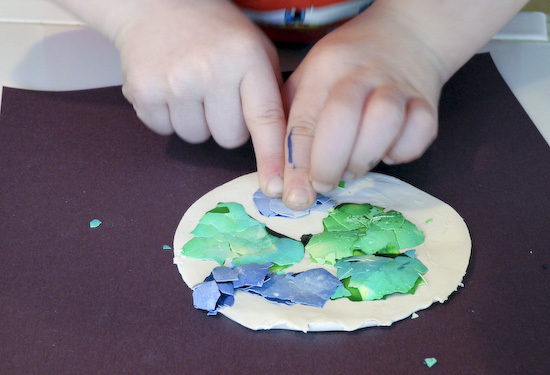 Step 5: (Optional) This is a wonderful keepsake craft. 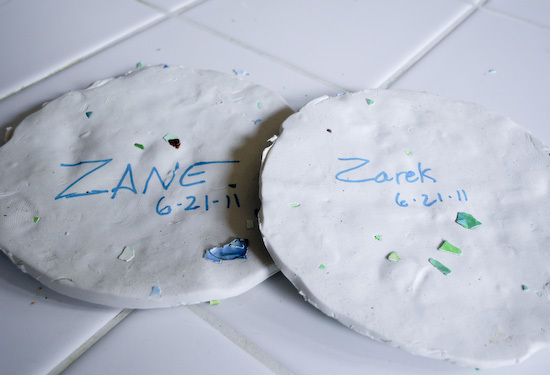 I flipped ours over and wrote the boys names on them and the date. Click images to get step by step instructions with photos in slider format.